If you read gossip magazines, you might have come across this recipe in People from a few weeks ago. The recipe is from Lady Gaga’s family and her parent’s new restaurant. It is simple to make and delicious to eat! Note, we forgot to buy fennel at the store so we just omitted it. The soup still turned out fantastic! 1. In a large saucepan, heat olive oil over medium-high heat. Add onion, celery, garlic and fennel. Cook until vegetables are tender, about 10 minutes. 2. Add tomatoes and broth; simmer 4 minutes. Remove from heat; add basil and parsley. Cool slightly. Puree in blender. Season to taste and serve hot. 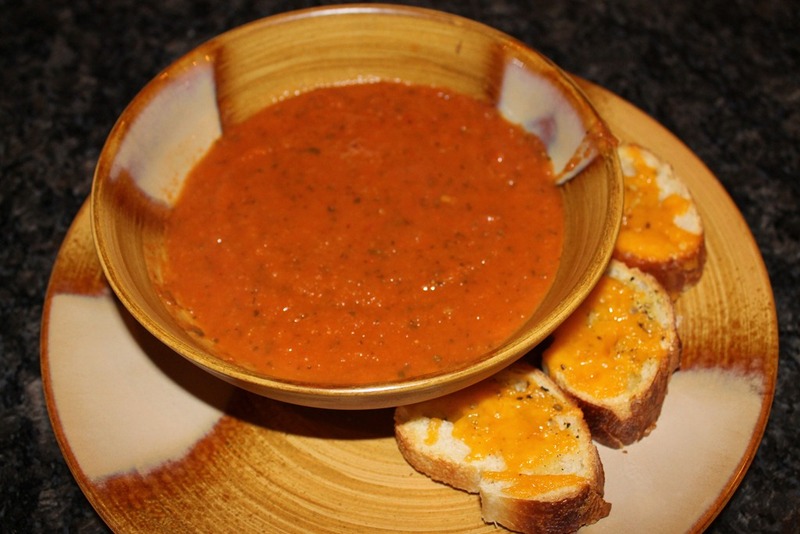 We served our soup with fresh bread broiled with cheddar cheese. As you can see, this is a super easy recipe, has fresh ingredients and tastes amazing! I highly recommend making it! It tastes creamy even though it is not. I can’t wait to make it again! 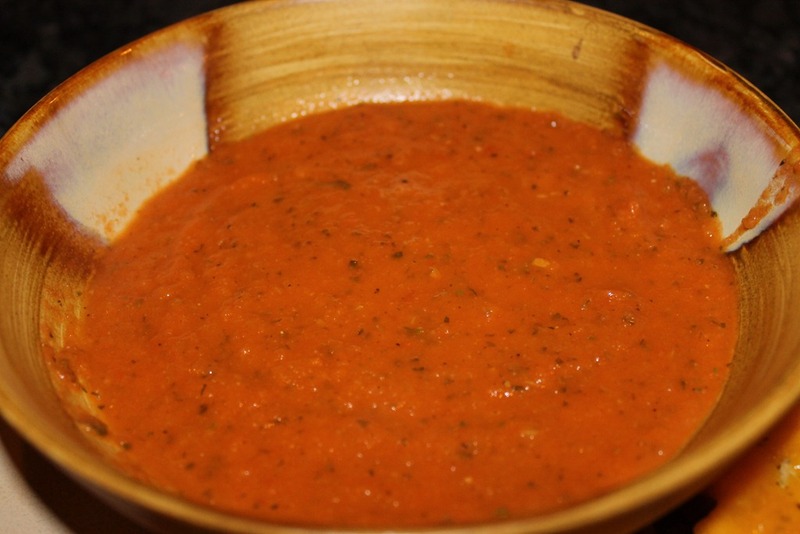 Are you a tomato soup fan?